"At Lehigh, we celebrate our diversity, and we embrace our academic, cultural, economic, and physical differences. We respect one another, we look out for one another, and we help one another succeed. These principles are not just words on paper; they are what we believe in and what we expect of our entire campus community." 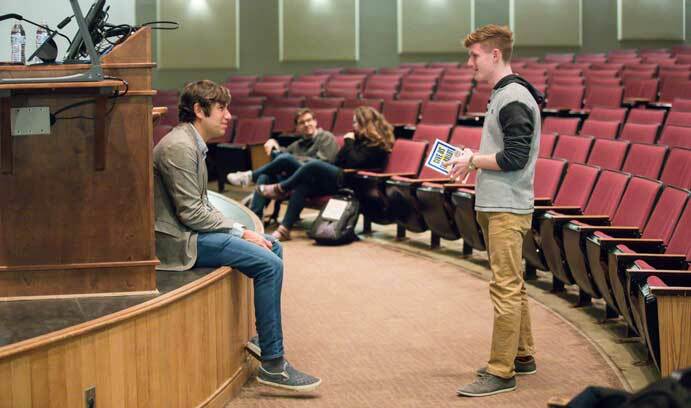 Lehigh students benefit from a vast network of support resources that help them make the most of their experience both on campus and in the community beyond campus. Lehigh is 151 years old and 80,000 alumni strong. Lehigh provides countless opportunities to connect and engage with this vibrant, passionate and diverse network of alumni, families and friends around the world. Pursue all your goals here at Lehigh—a university large enough to offer world-class faculty and rigorous academics, but small enough to allow for close mentorship and hands-on experiences in a diverse and supportive community. 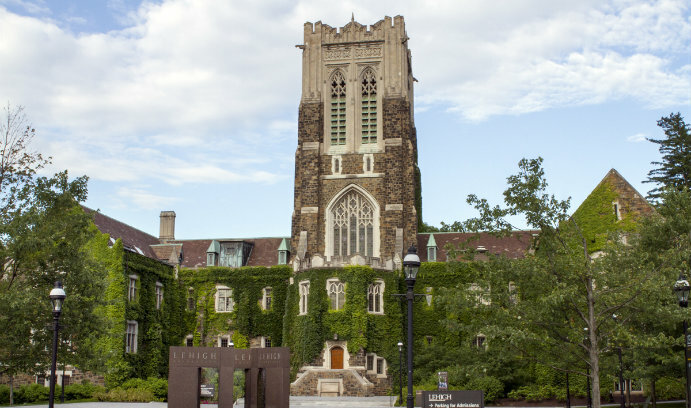 Lehigh University rewards creativity, leadership and innovation; our commitment to excellence and intellectual curiosity is matched by our commitment to creating a diverse and inclusive employee community. 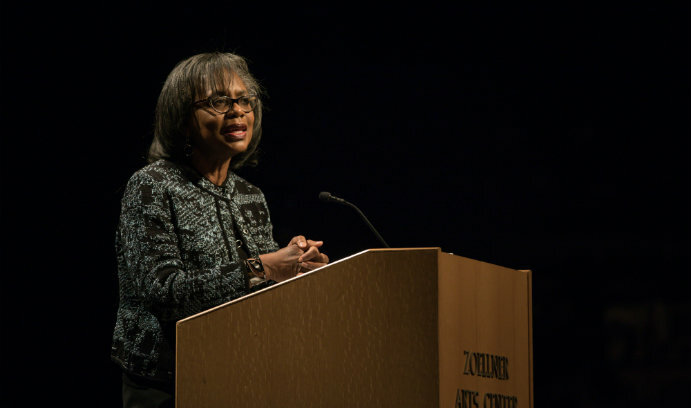 The women’s rights icon delivered the university’s MLK address to a packed house in Baker Hall. The Office of the President shares information about Martin Luther King Jr. Day events. Voting rights expert delivers grim assessment of efforts to restrict access to the ballot. Members of the Council for Equity and Community, a committee made up of Lehigh faculty, staff, and students committed to serving as a campus resource and agent of cultural change. Diversity and inclusion working groups have been established across a majority of units at the university. The creation of these groups is designed to provide opportunity for broad and sustained engagement around diversity issues. Social Justice Scholars, a collaborative faculty scholars group that explores the intersection of social equality and research. Members of Lehigh’s Pride Network, an organization that provides support for LGBTQ faculty and staff, and a place for allies and advocates who are interested in fostering and sustaining a welcoming and affirming climate on campus for LGBTQ people. Staff and faculty who have attended series diversity and inclusion workshops given by the VISIONS Group, which offers an insight-driven training and consulting model that empowers clients to become catalysts for change within their communities. Is a truly equitable campus achievable? "When we talk about an equitable culture, we are really referring to a culture of equity versus a culture of equal opportunity."